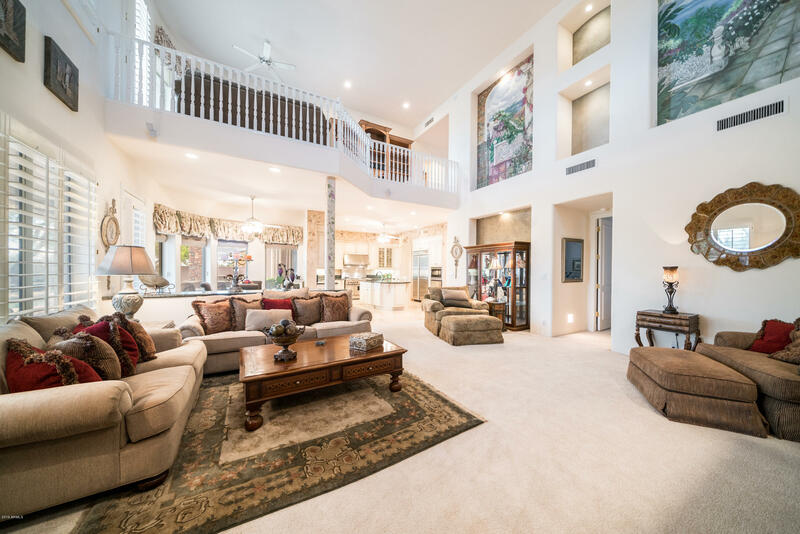 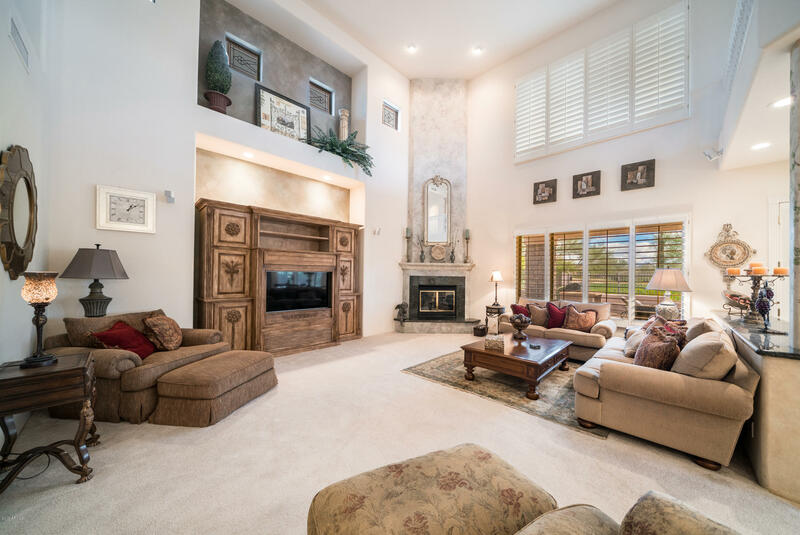 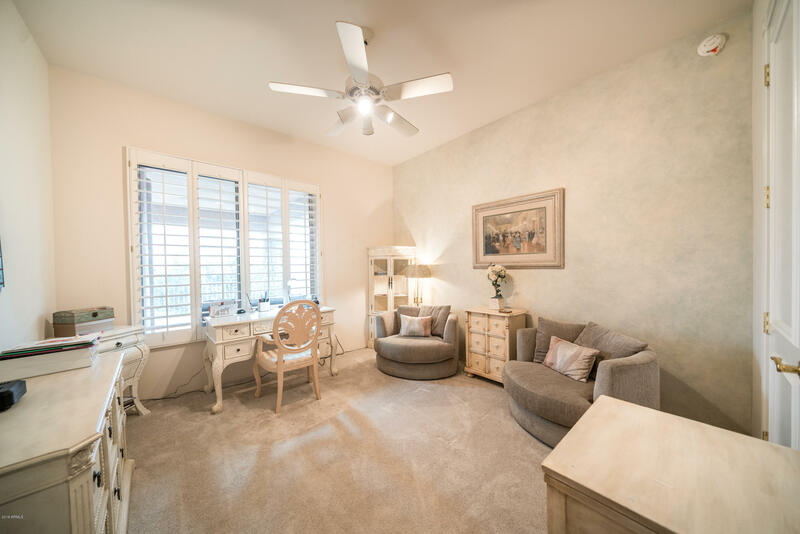 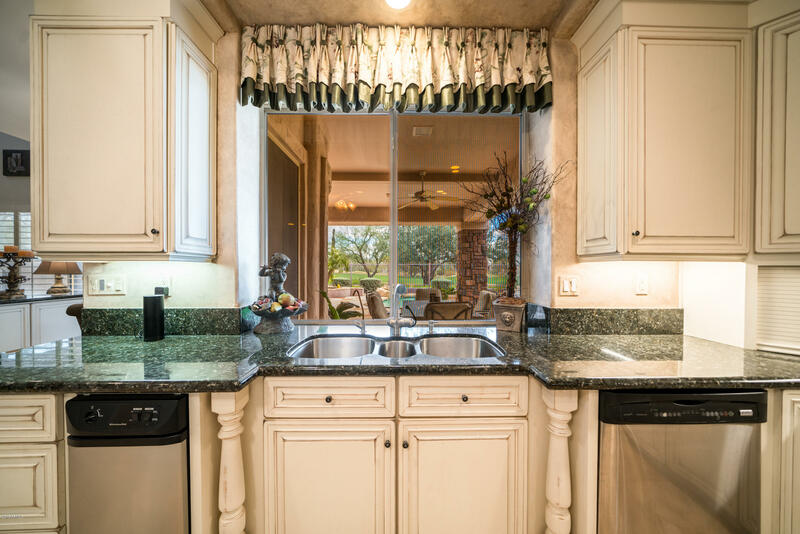 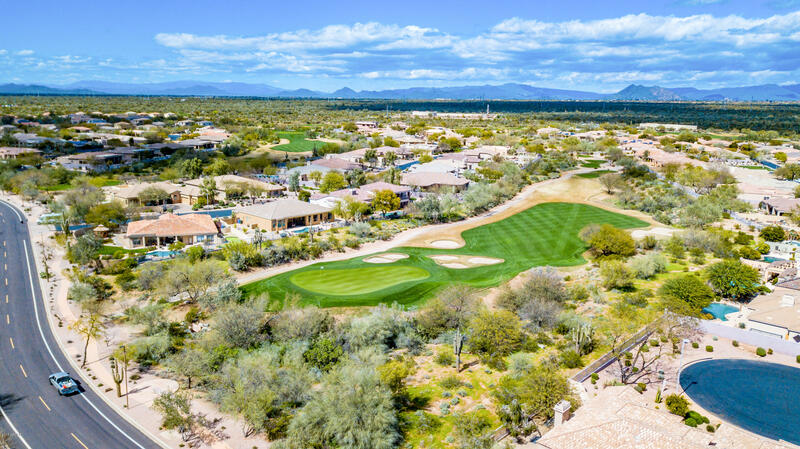 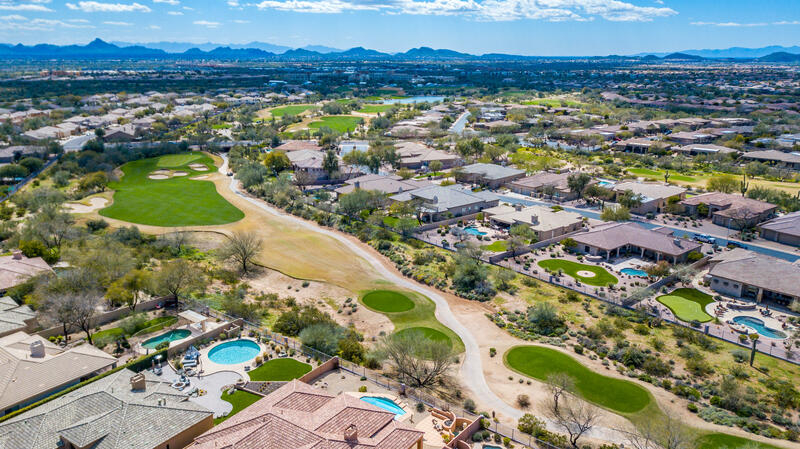 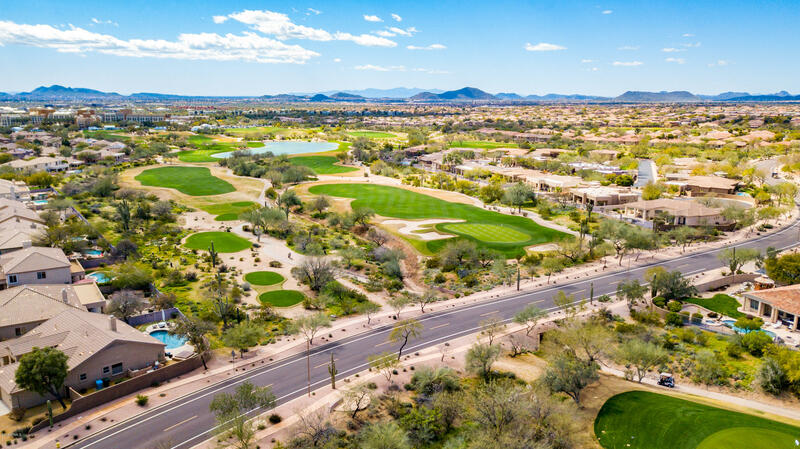 Welcome home to luxury living on Wildfire Golf Course. 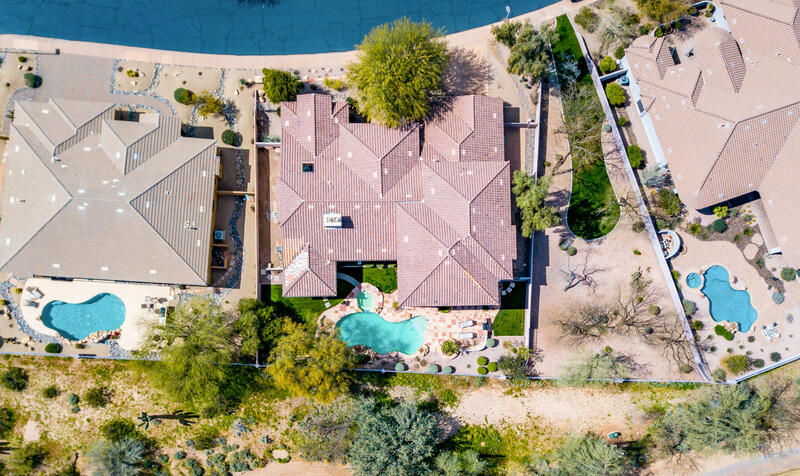 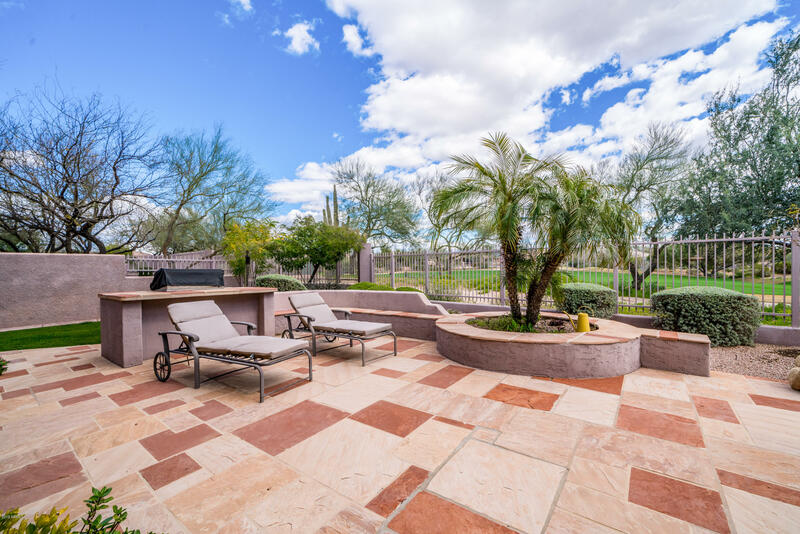 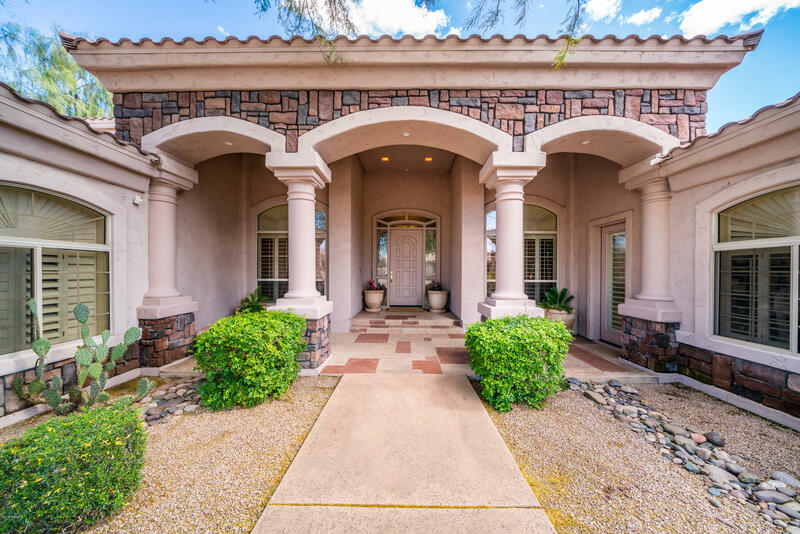 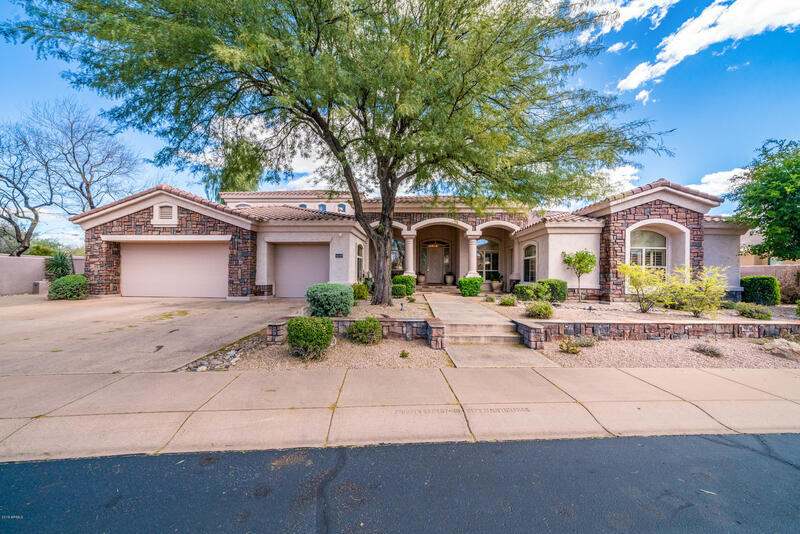 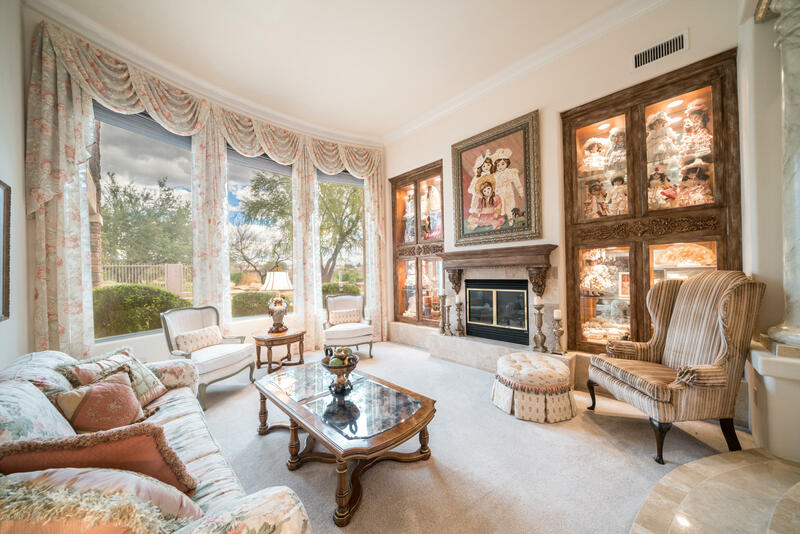 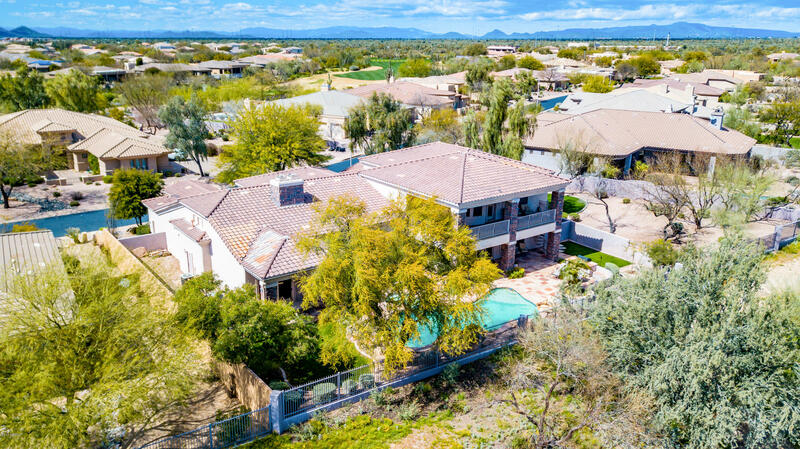 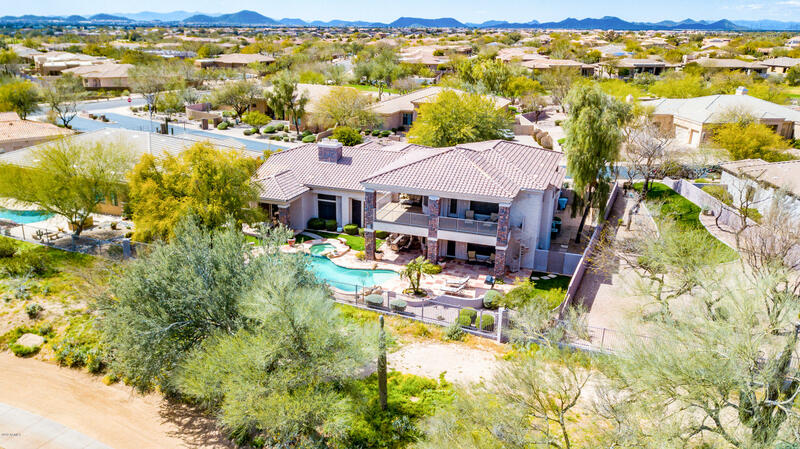 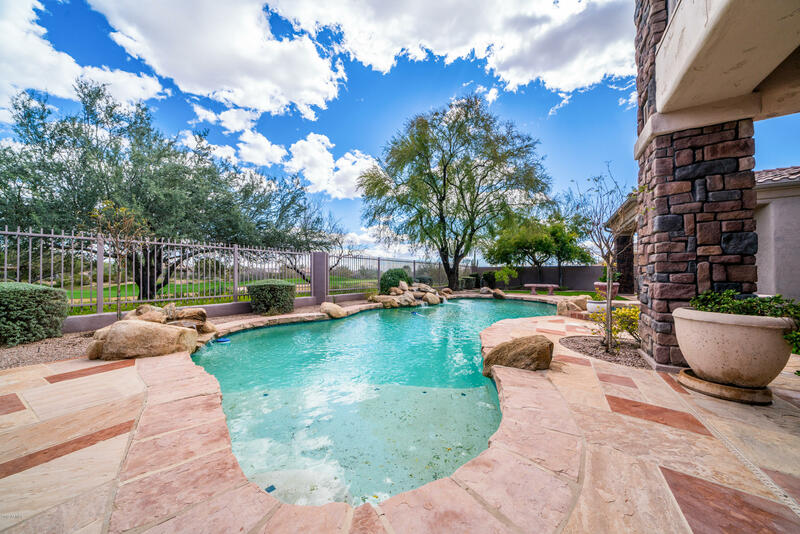 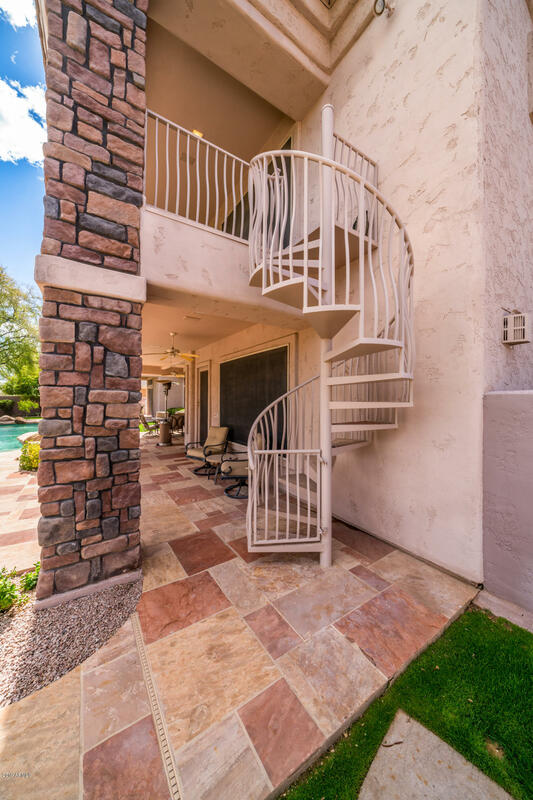 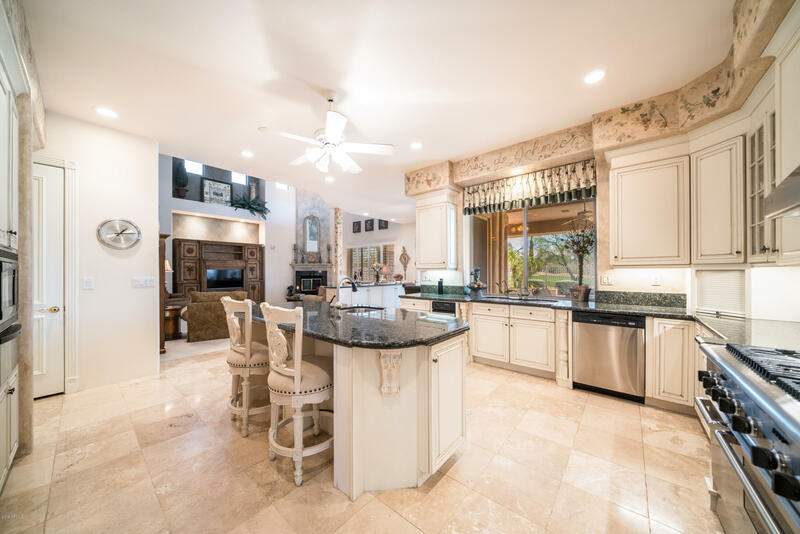 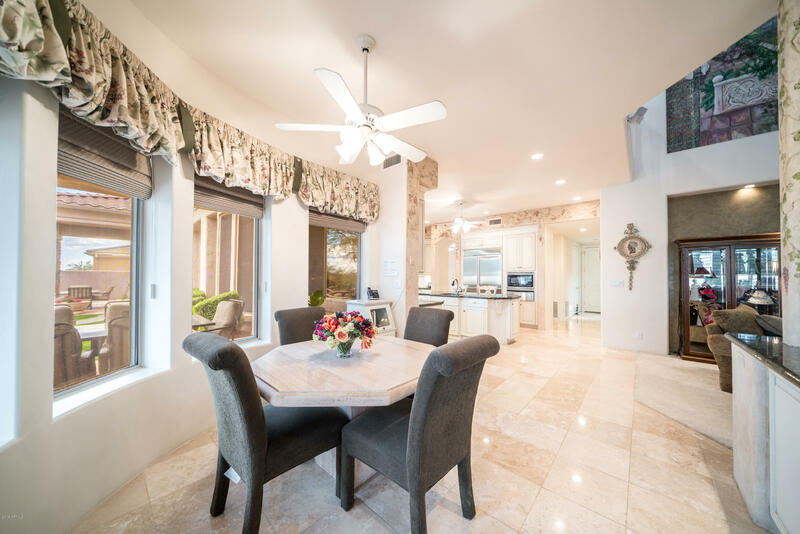 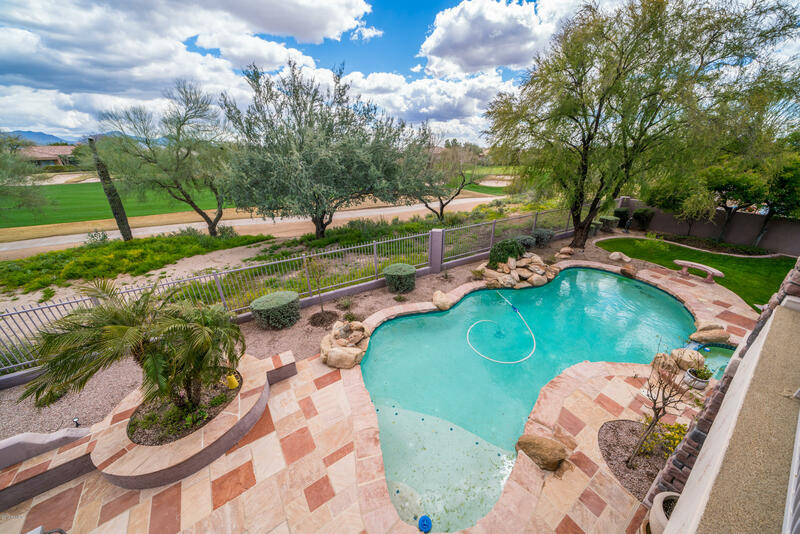 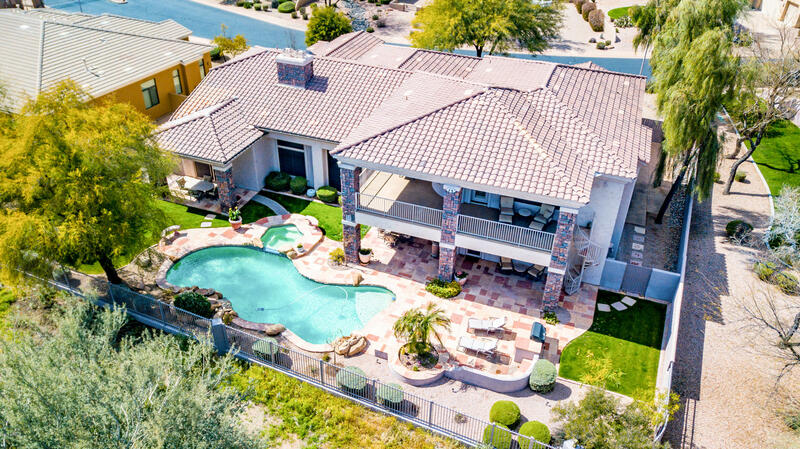 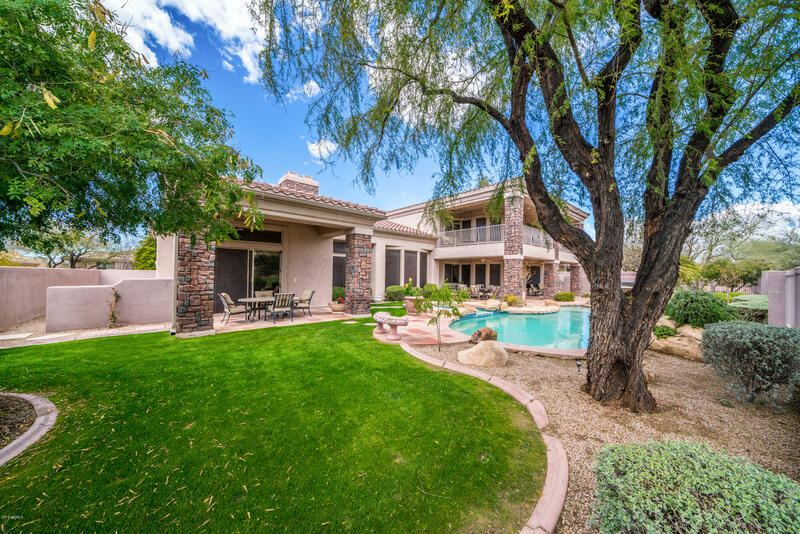 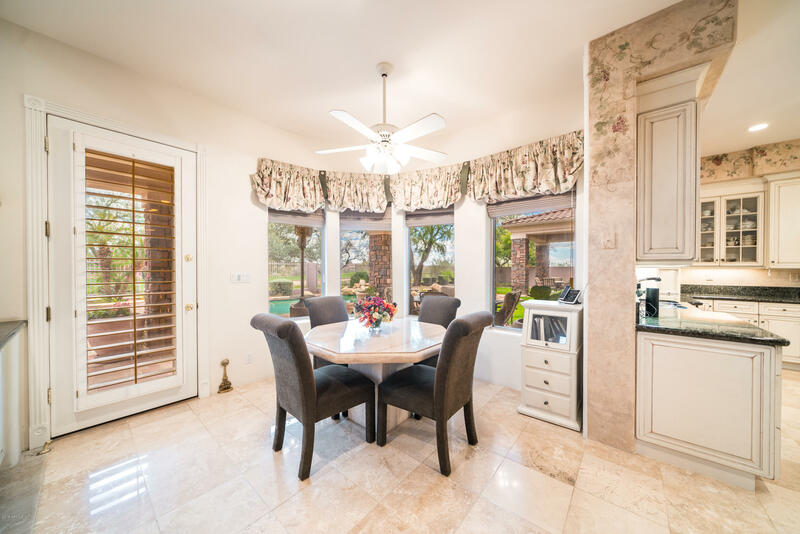 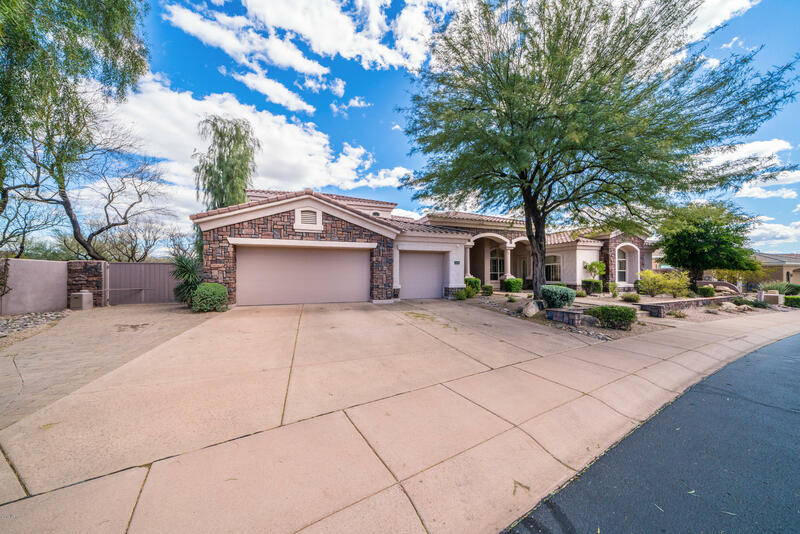 Custom home meticulously maintained with million dollar views and just minutes away from JW Marriott Desert Ridge Resort and Spa. 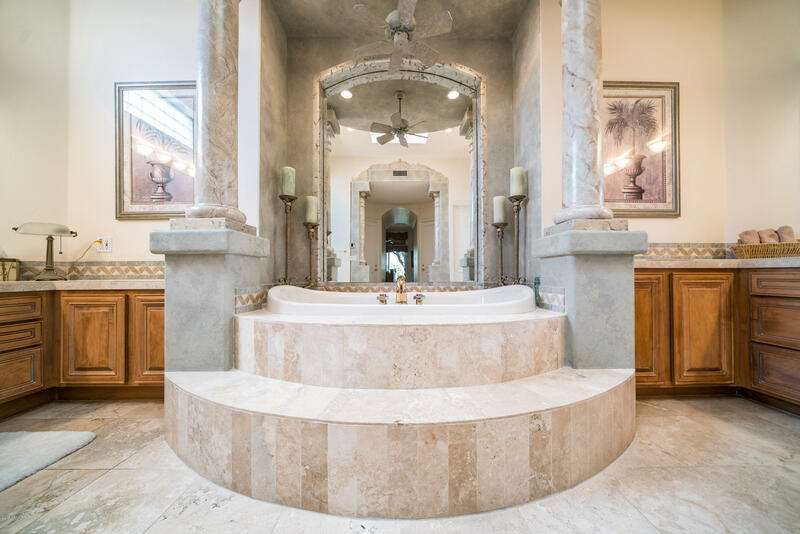 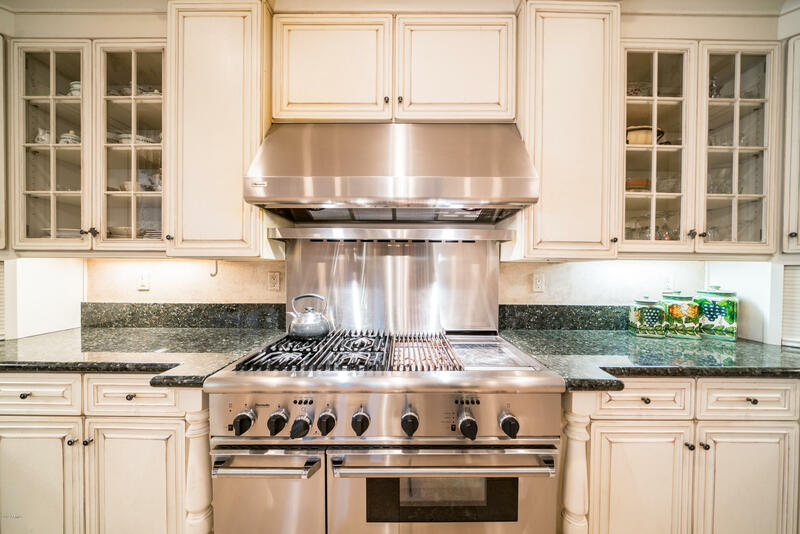 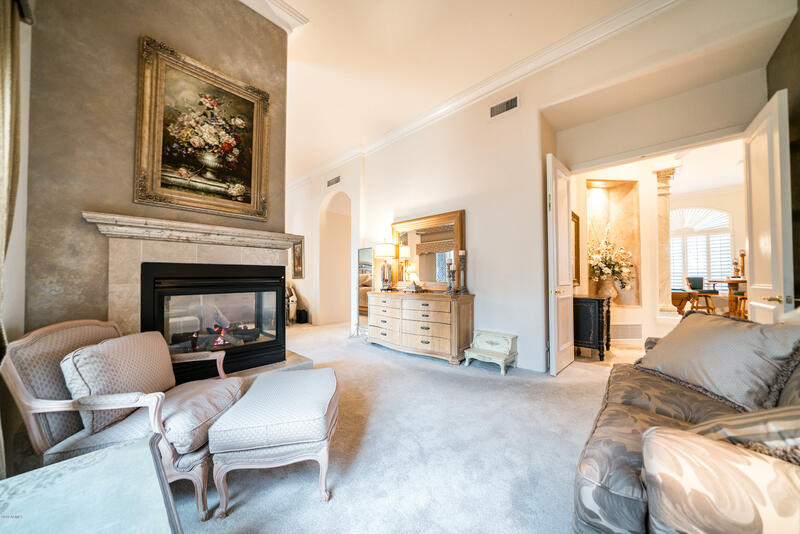 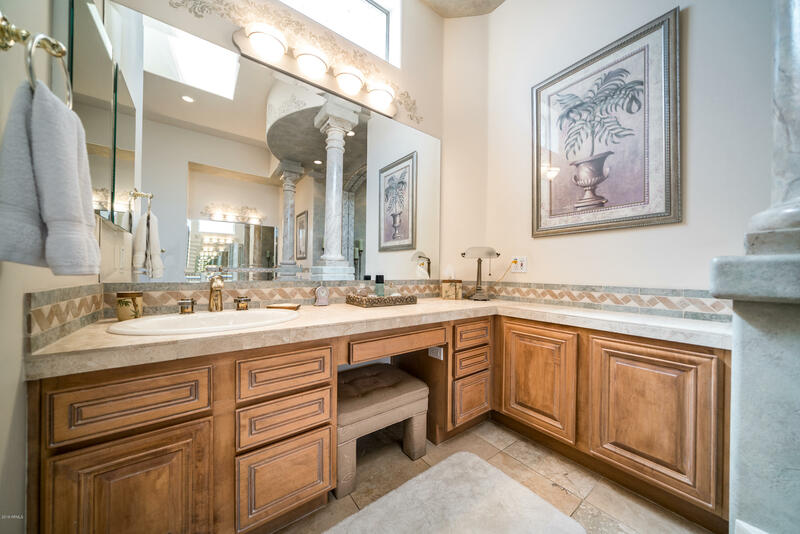 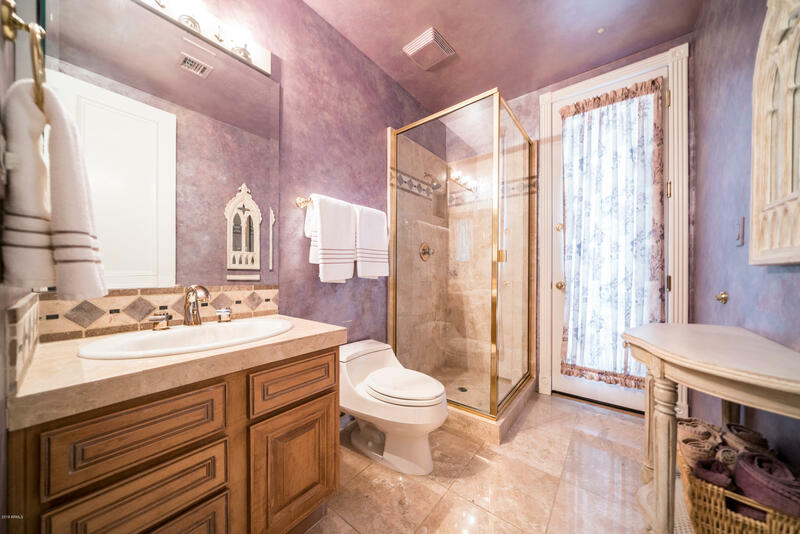 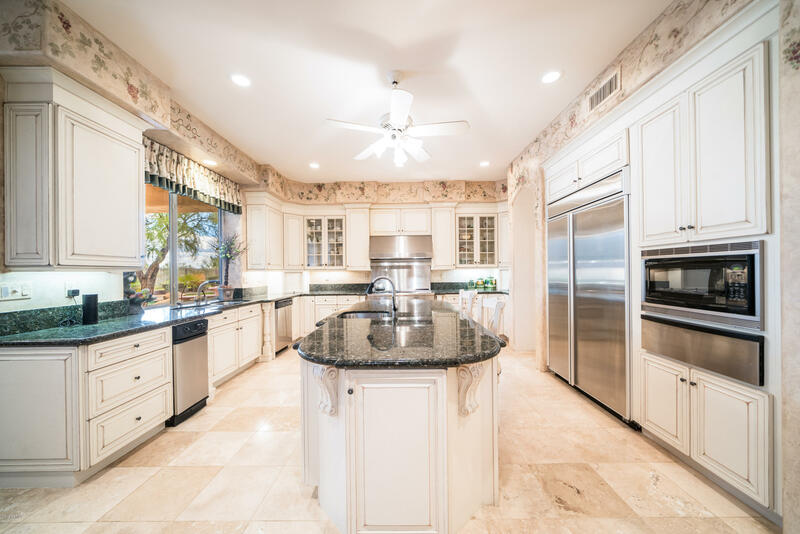 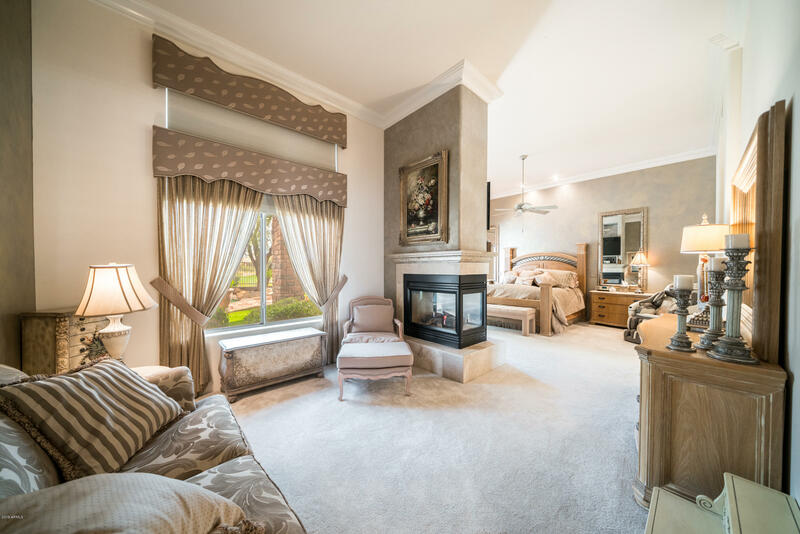 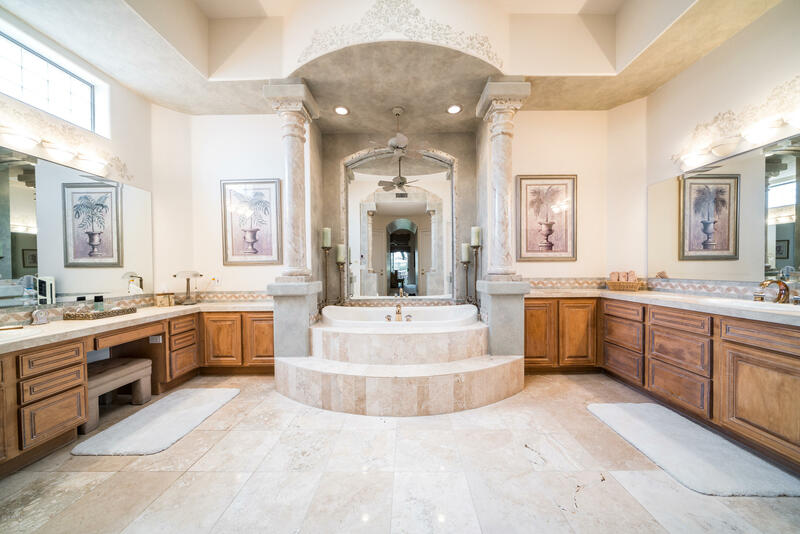 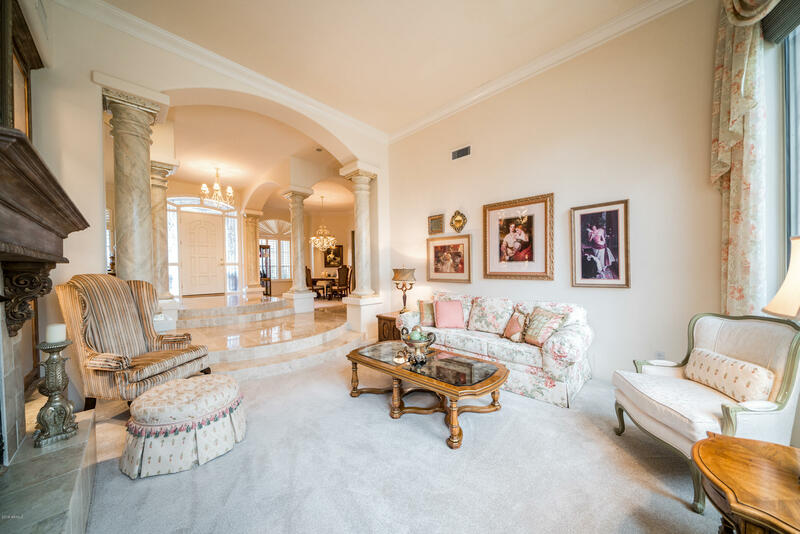 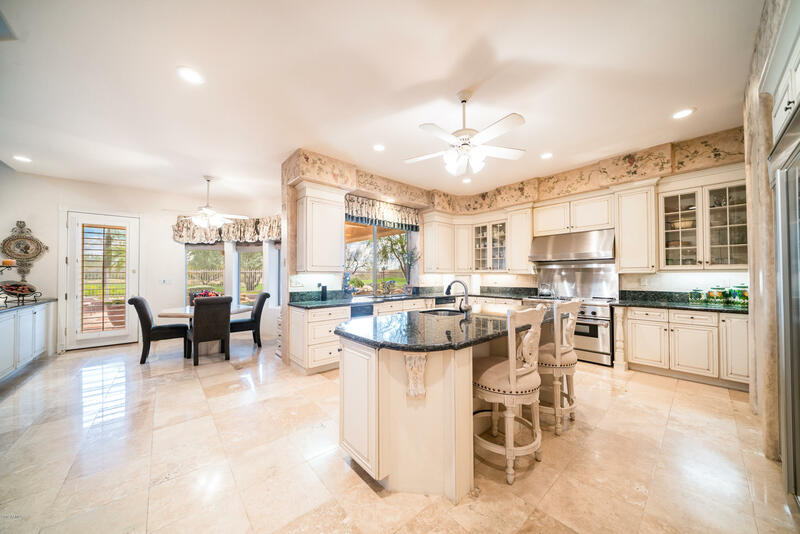 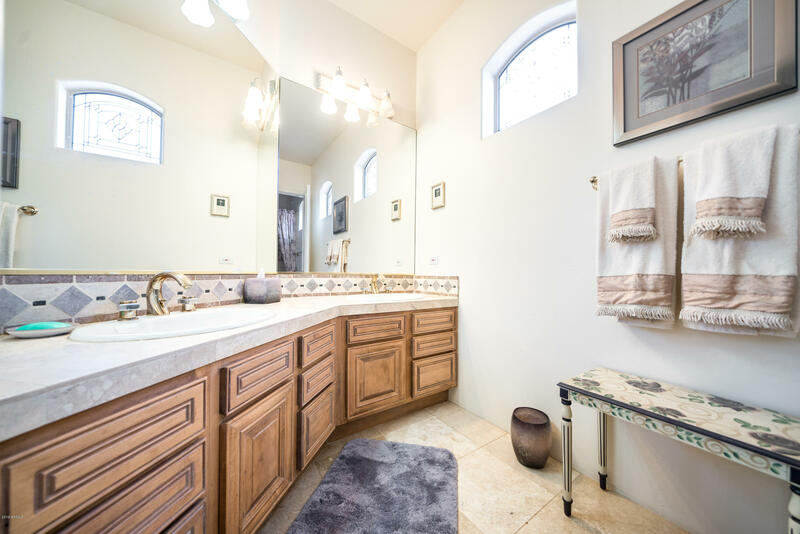 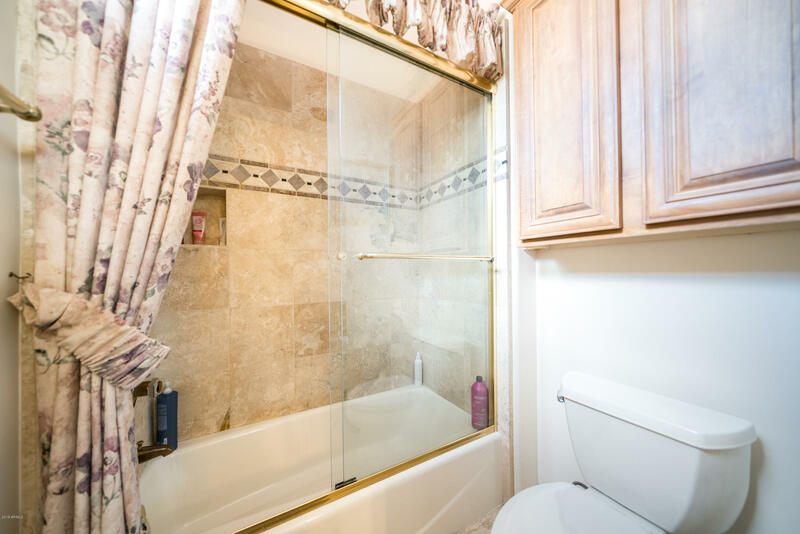 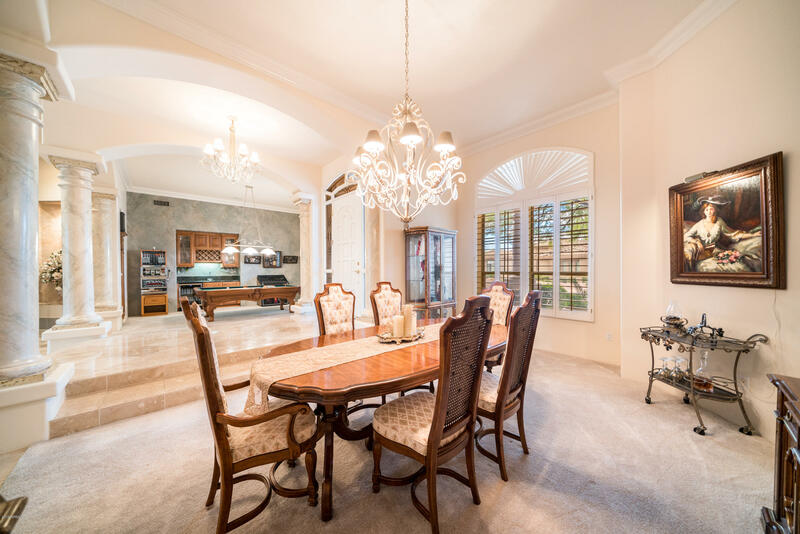 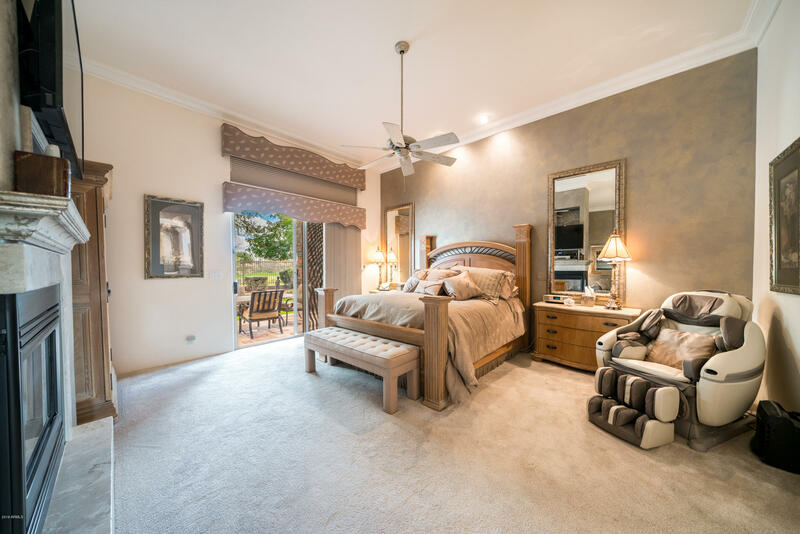 You will be greeted into the grand foyer, chef's kitchen, stately first floor master suite and spa bath with steam shower, and 3 generous guest bedrooms. 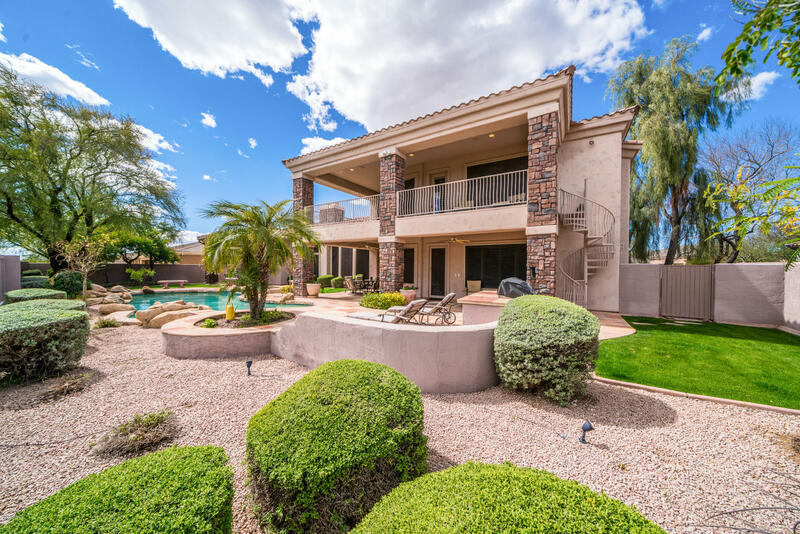 Huge patio and balcony overlook the golf course and resort style backyard complete with pool, spa and BBQ. 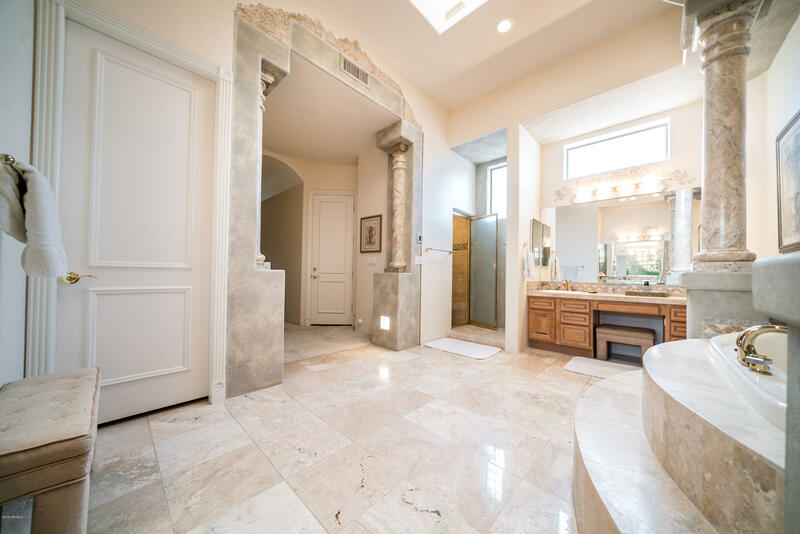 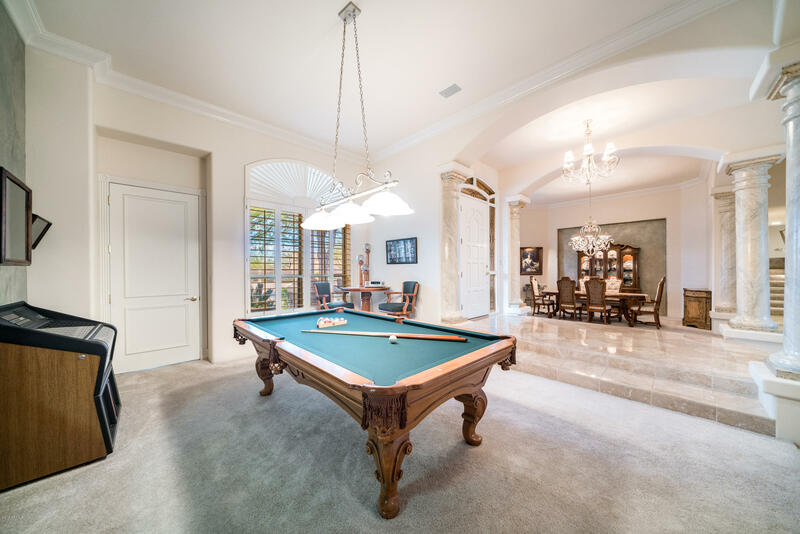 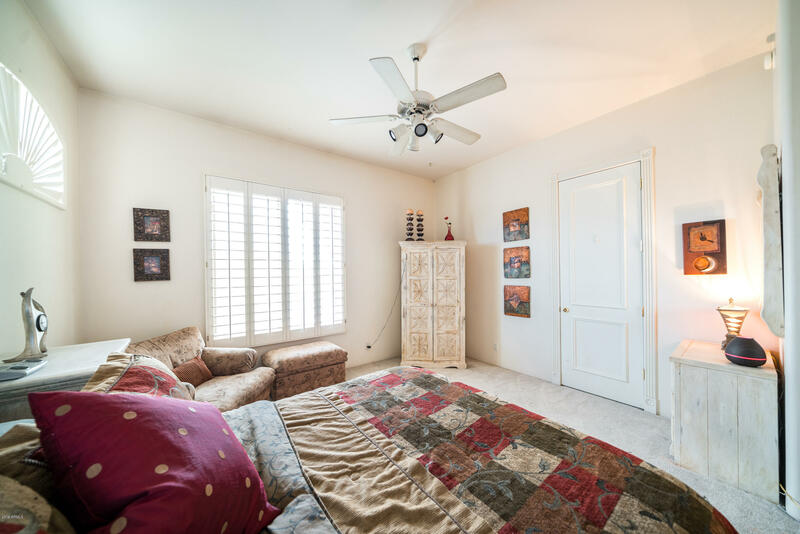 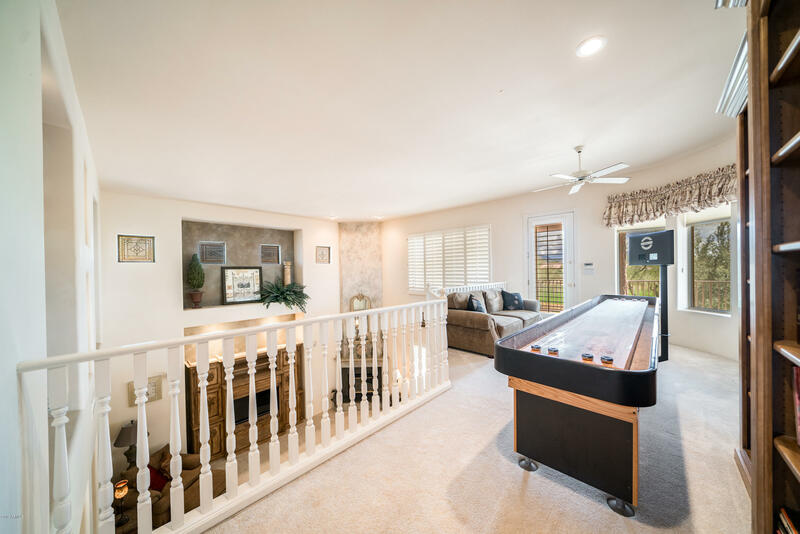 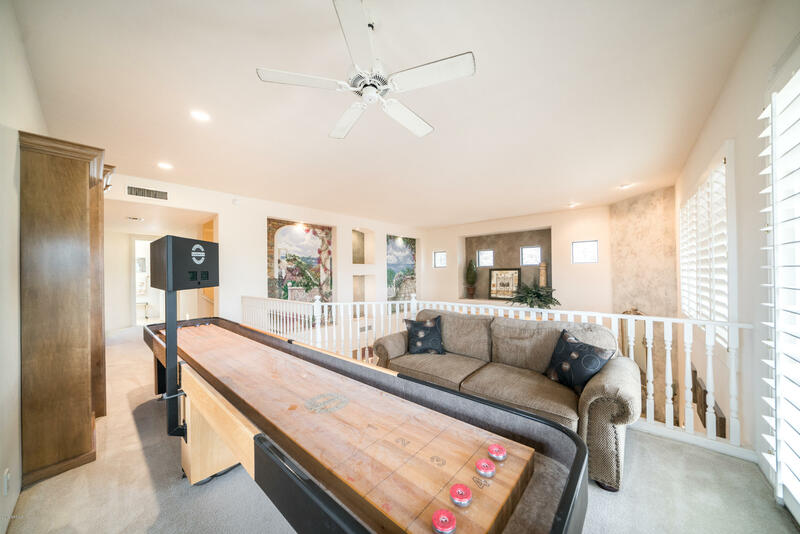 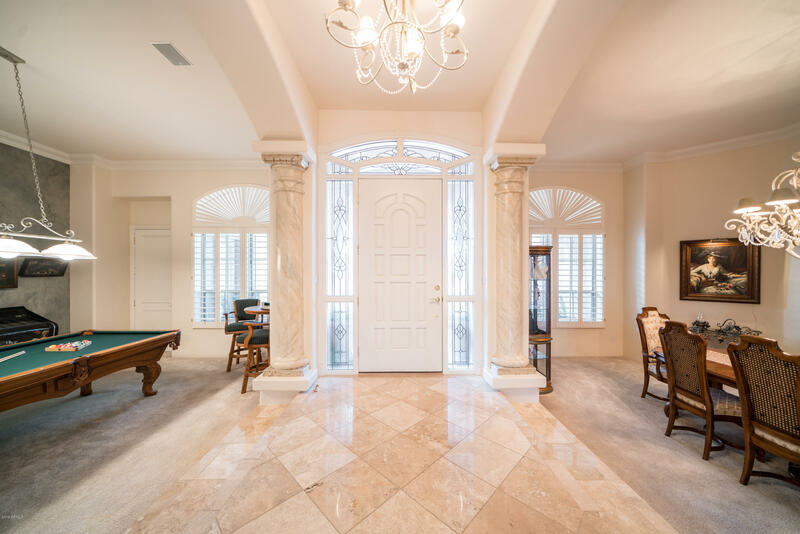 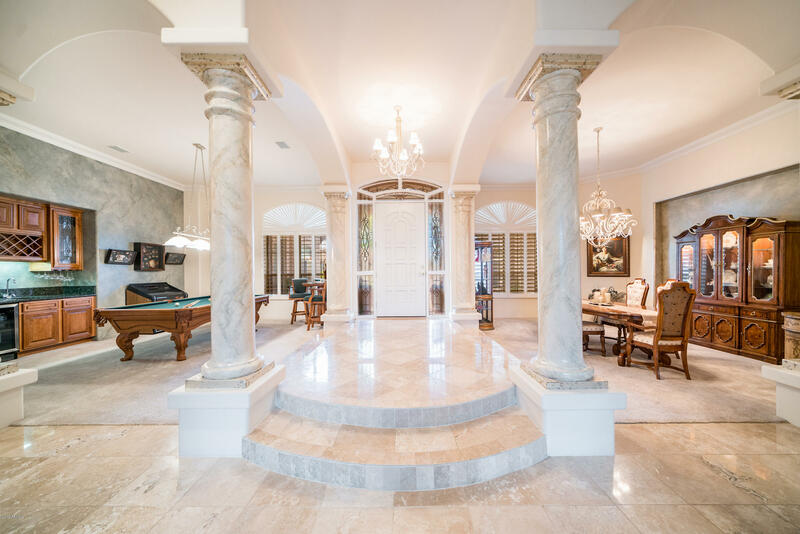 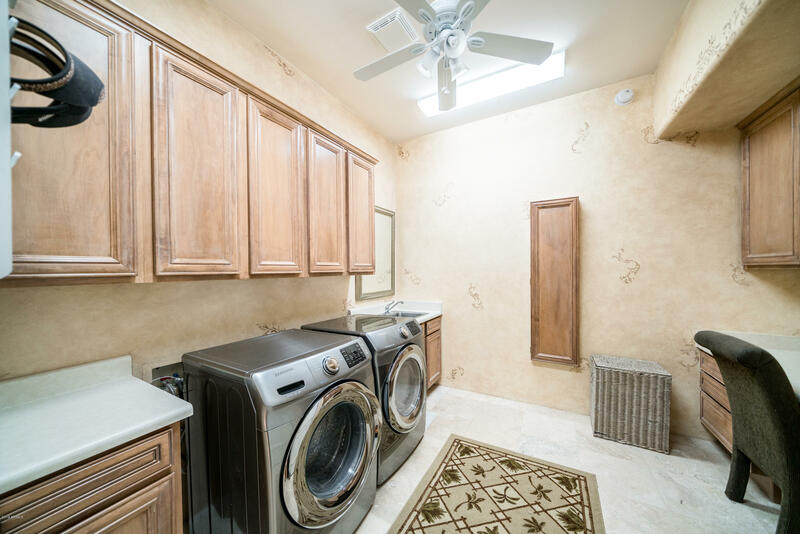 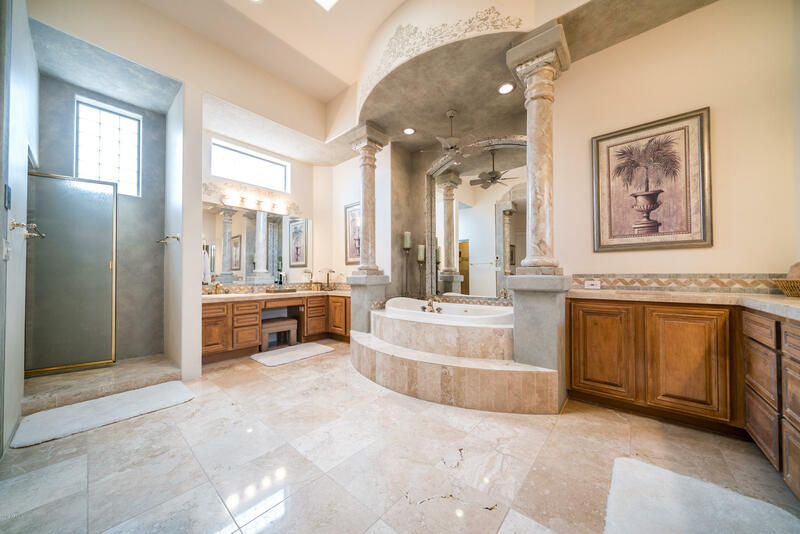 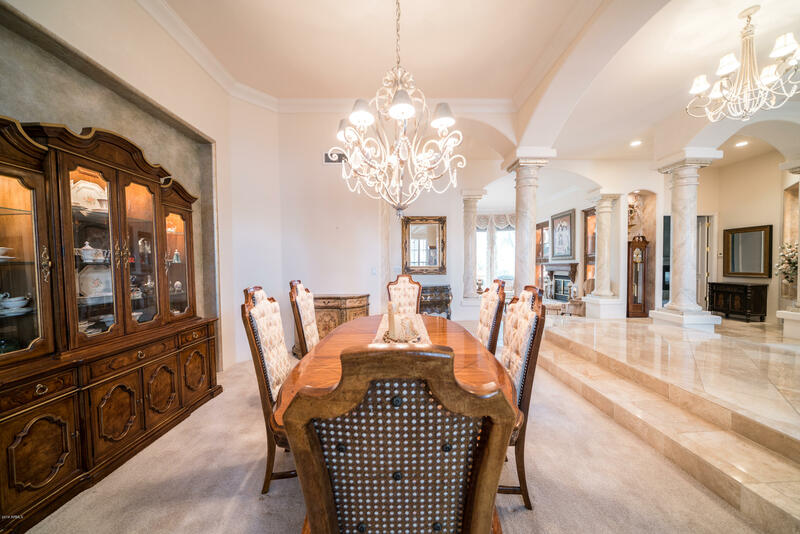 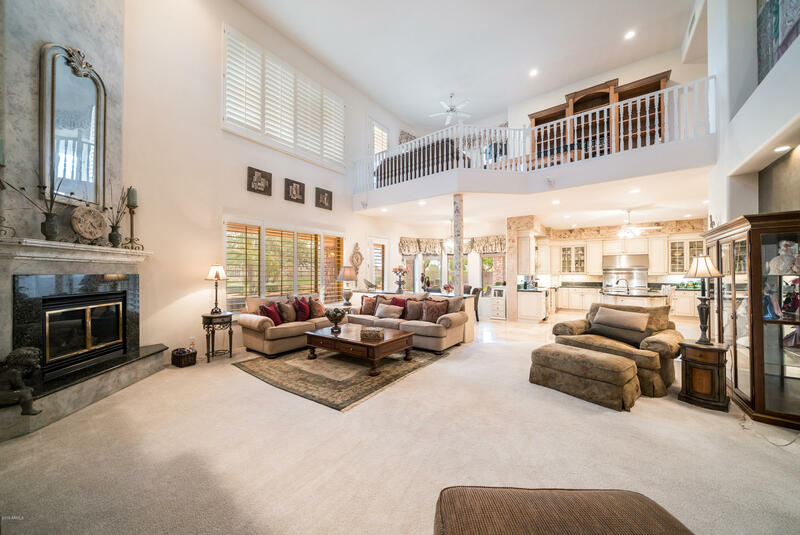 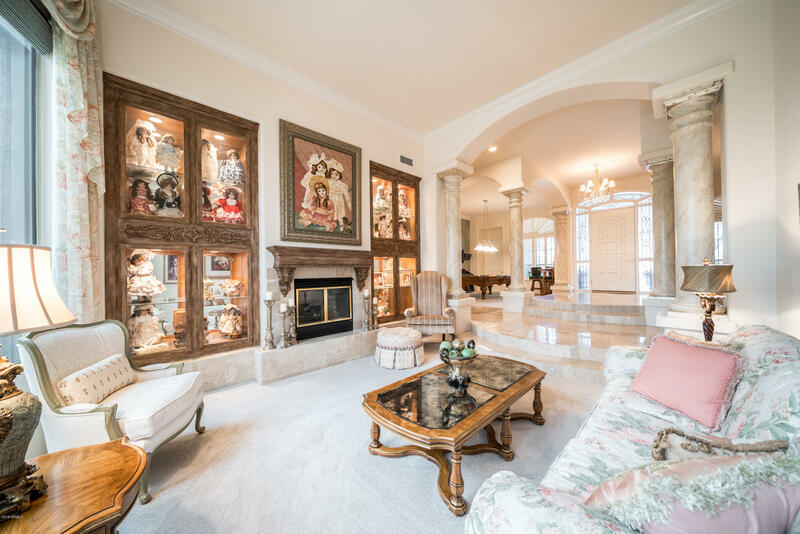 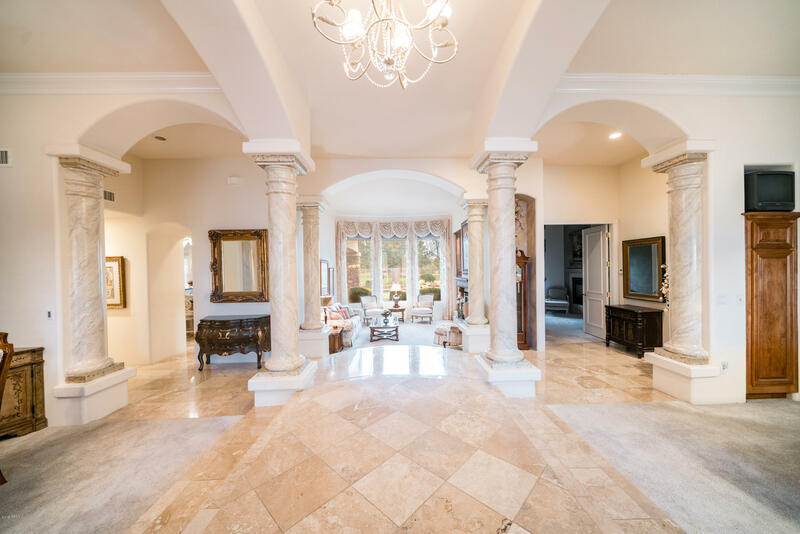 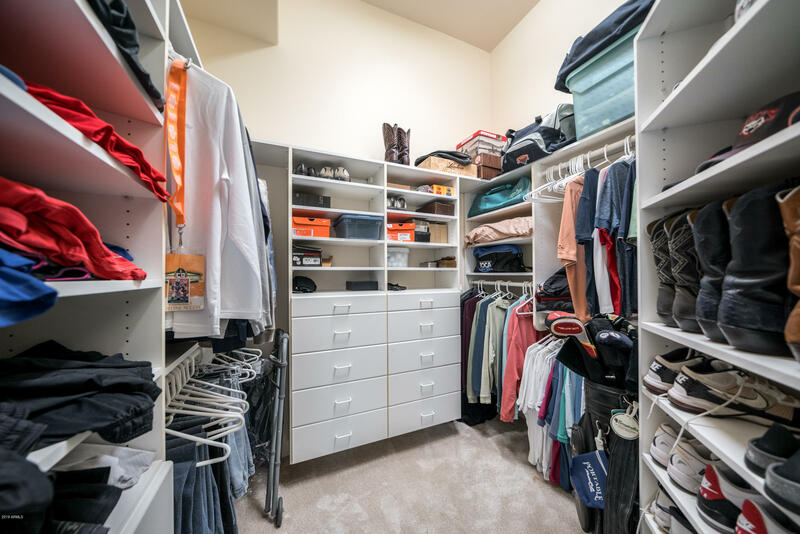 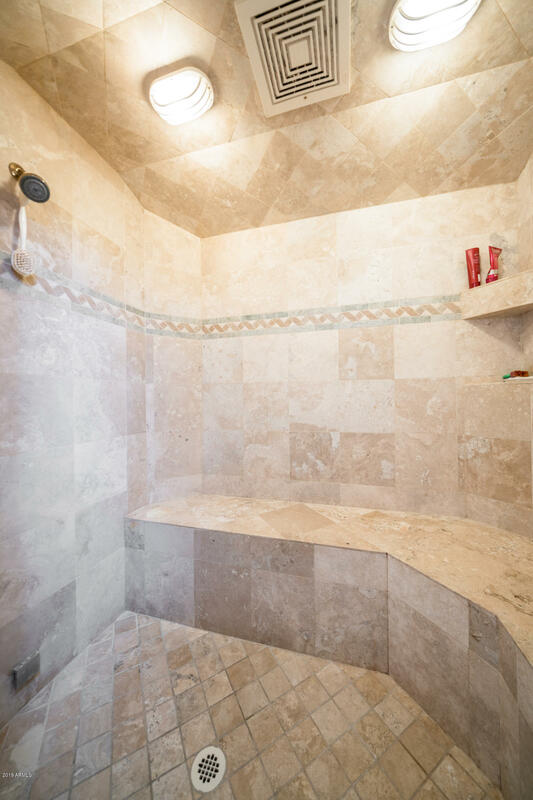 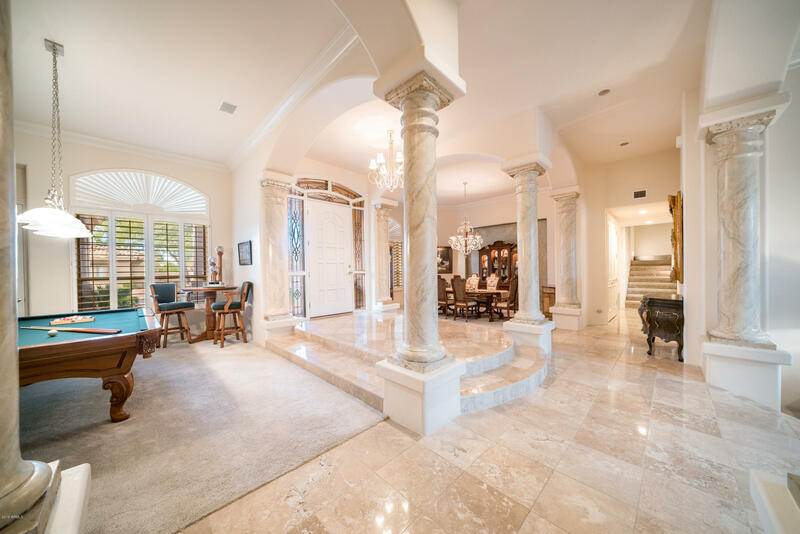 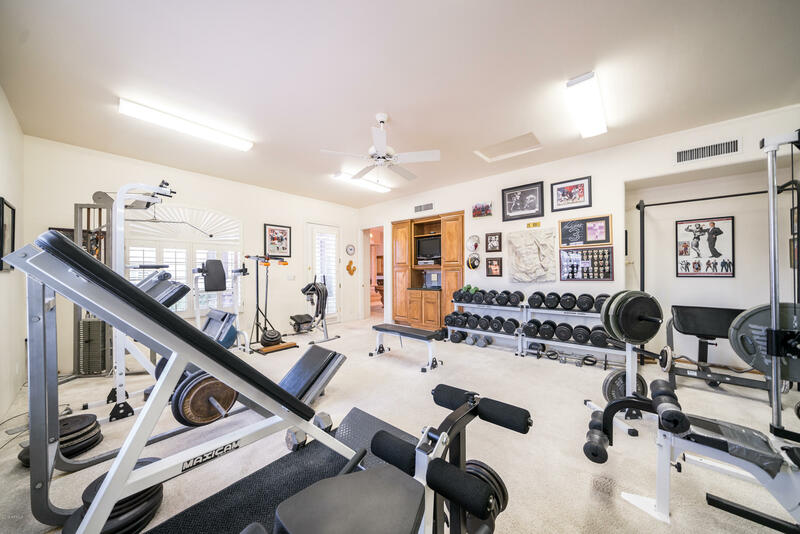 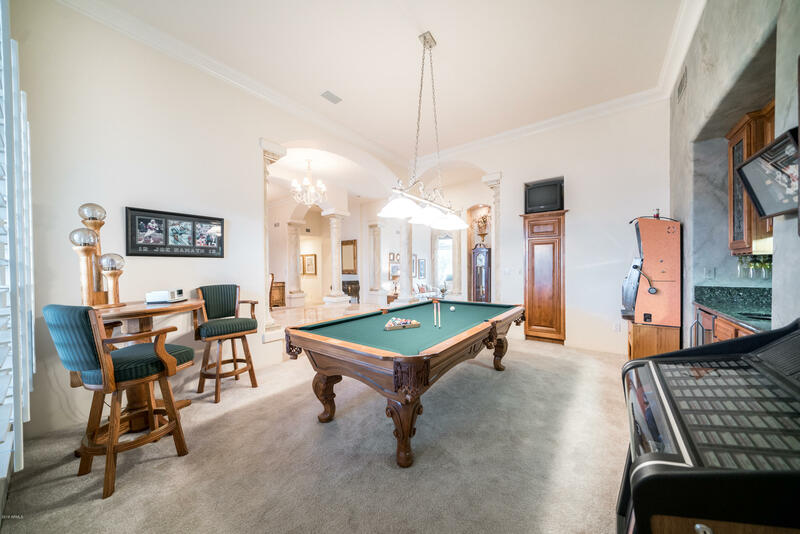 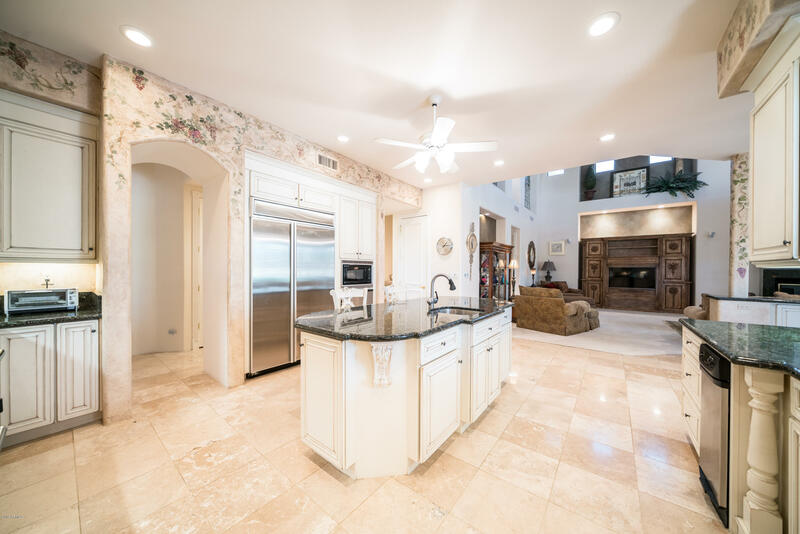 Added features include travertine flooring, artist painted walls, room for home gym, vaulted ceilings, a billiard room with wet bar, and 3 fireplaces. 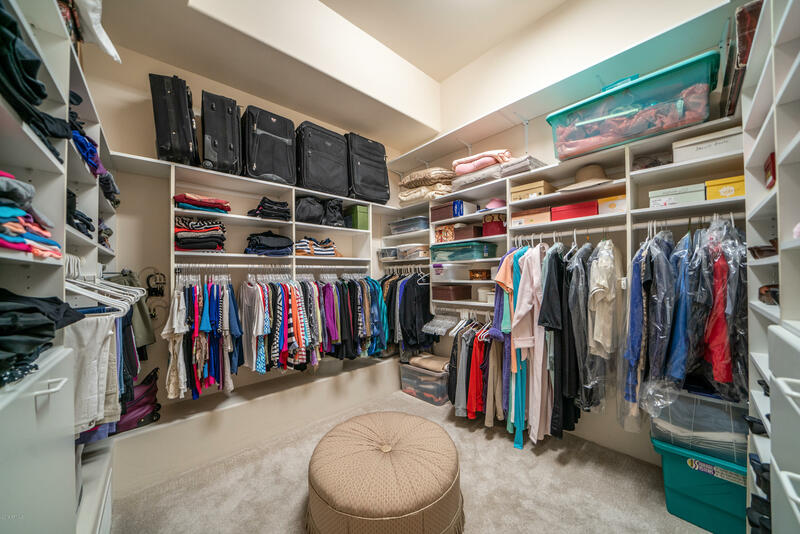 So much to list you won't be disappointed to show.